Many clips on the site feature well-known actors (examples include Steve Carell, Charlie Sheen, Ryan Gosling, Patrick Stewart, Daniel Radcliffe, Sophia Bush, Mila Kunis, Hilary Duff, Adam West, James Van Der Beek, Jim Carrey, and Selena Gomez). Michael Kvamme, an aspiring young comedian, came up with a concept for a new kind of comedy site; and the site was developed by Randy Adams. Videos are voted on by users of the site; those that are deemed funny stay, but those that are not "die" and are relegated to the site´s "crypt". 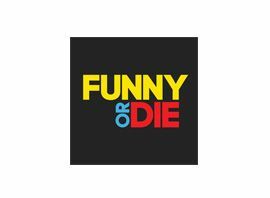 Funny or Die launched on January 24, 2007. The site´s first video, "The Landlord", has received over 80 million views and features Ferrell confronted by a swearing, beer-drinking two-year-old landlord. In June 2007, they received venture capital funding from Sequoia Capital, and in June 2008, they announced a partnership with HBO.